We keep our clients’ lawns looking lush and lovely. Both our commercial and residential clients receive the same quality lawn care that we’ve come to be known for. Whether you need your lawn mowed, your flowers and hedges trimmed, or ongoing yard care including regular pest control, weeding, soil care and fertilization, we’re here to help. Our family-owned lawn services company has more than 10 years experience keeping our Walpole neighborhoods beautiful. We’re happy to put a comprehensive lawn care plan in place for you. Or if you just want someone to do the weekly mowing and keep the edges tidy, we’re happy to help with that too. Let’s talk. You tell us what kind of lawncare and maintenance you need. That’s what we’ll provide. We give it 100 percent every day, whether we’re pulling weeds or resodding an acre of lawn. We’re licensed and insured to provide all of the following lawn care services. Don’t see something here you need? Just give us a call. 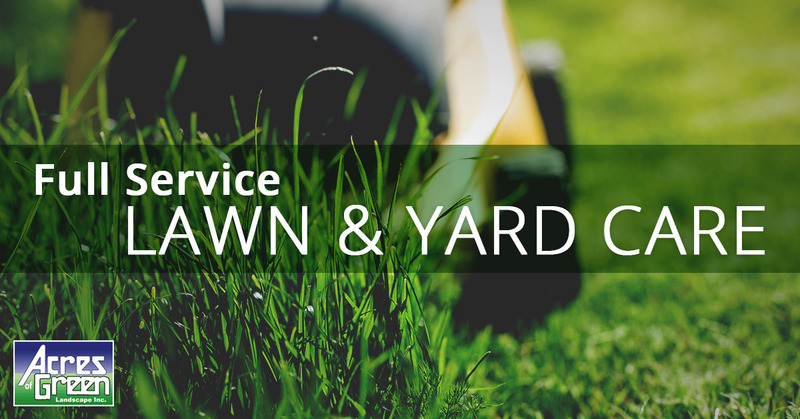 We encourage you to compare our services, prices and reputation with other local lawn care and landscaping companies. Then, when you’re ready, give us a call. Because Acres of Green is a local, family-owned business, you can rest assured that what you see is what you get. We’ll always be just a phone call away and we are always responsive to any questions or concerns. We’d love to help keep your yard beautiful, or work with you to design the perfect landscape for your home. We look forward to hearing from you soon.